As an avid snowboarder, I have been waiting for a product like this to hit the market. Communicating and regrouping with friends after mountain run can be a challenge—and while though we have smartphones to keep in touch, it is a hassle just pulling the phone out of your jacket, let alone use it without taking off your gloves. 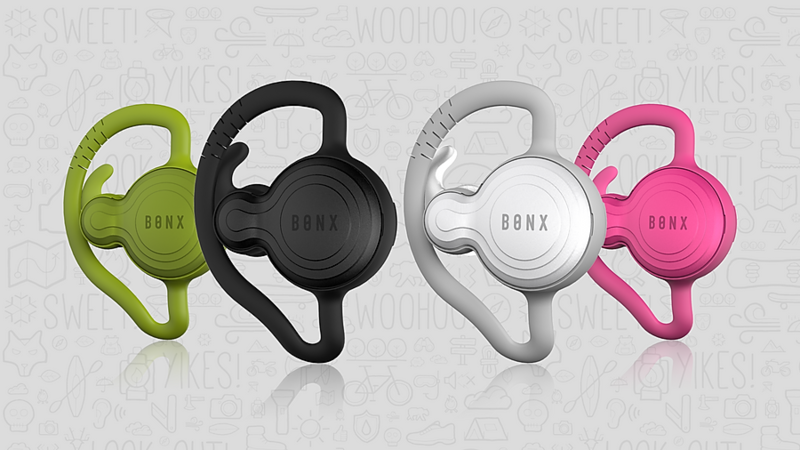 With Bonx, you can communicate with your friends through the wearable ear piece by just talking; it is essentially a hands-free walkie talkie that connects wirelessly via Bluetooth to your phone and activates automatically when you speak. I had a chance to meet up with the busy Bonx CEO, Takahiro Miyasaka, to talk about his product and his mission to create a new wave in wearable communication devices. – Please tell us about your product. 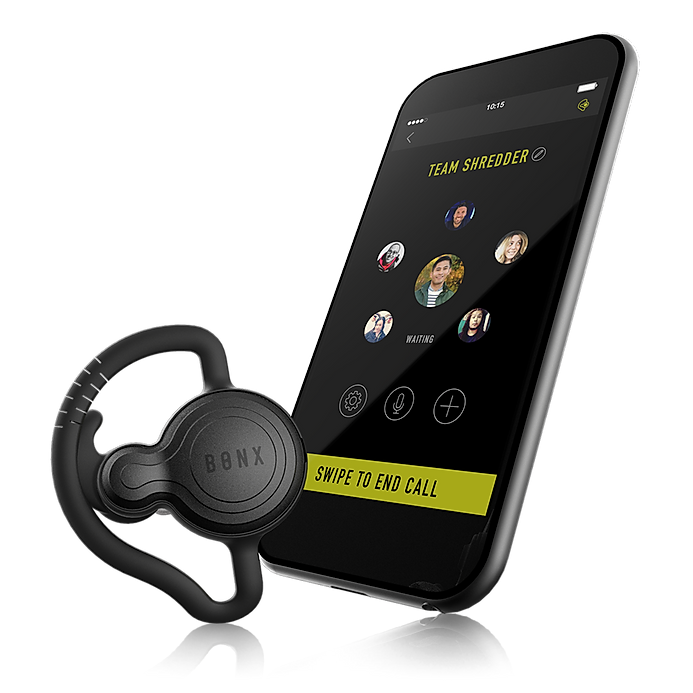 Bonx is a wireless earpiece that you connect to your phone and can be used to communicate with your friends during snowboarding or other outdoor activities. It can also be used for music or for making calls. Apart from the hardware, we also made an IP based communications system software, similar to skype, where users can communicate with each other even in environments with bad reception. – Were you a former engineer? Please tell us about your background. I’m actually not a former engineer, but used to work as a Consultant for the Boston Consulting Group for about 3 years. Before that, as a student, I spent my time for four years going back and forth between the northern and southern hemisphere for snowboarding, and came up with the concept of the product during that time. – When did you start your company and how did you receive funding? I started in November 2014. We first received financing from the government and about a year into operation, we received funding from a Japanese VC. – Do you have any investors outside of Japan? What types of investors or companies would you like to partner with? At the moment, we do not have any foreign investors, but we hope to change this as we want to bring our product global. Actually, from November, we will be releasing our product in America and Canada. We are looking to partner with sports affiliated companies as well as lifestyle select shops. – Who are your target consumers? Are you only focusing on B to C? Our focus will not only be limited to B to C as we see applications for use in business. Since this device can be used as a transceiver, we can see this a replacement for communication systems used in construction sites or large events. – What sets your device apart from other competitors? As a transceiver, the sound quality for communications is much better compared to the competition and since it connects with your smartphone and the internet, the product has the ability to expand its application to be used for different services over time. – How did you find the engineers to create the hardware and software? We currently are a 10 person company and I found one engineer through an ad and another through an agent. The rest of the engineers were introduced to me through my network. – Do you have plans to expand outside of Japan, America, and Canada? Even though this is a goal, we currently don’t have the resources at this point to support expansion past the countries we have already committed to. We actually started a funding campaign through Indiegogo; apart from Europe, we have seen a lot of interest from other Asian countries, like Singapore and Hong Kong. – What is your daily schedule like? It depends on the day, but recently I have a lot of meetings. I usually get up around 7-7:30 and eat a very traditional Japanese breakfast with my family. After that I usually stretch or workout and held to work after that. At work, in between meetings sometimes, I go with my employees to a skate park in Komazawa Park to relax and skateboard. For outside meetings, I tend to come to Shibuya a lot. For early days, I am usually home at 6:30 where I eat with my family and put my 3 children to sleep. – Have you participated in any Startup events? Yes. The first one I participated in was Techcrunch Tokyo’s Startup Battle, held in November 2015. Though we didn’t win, we received a lot of attention from the judges. Next week, I will be participating in Innovation Leaders Summit (ILS) as a speaker. I also have speaking engagements at an event called Morning Pitch and another called Connect this week. – What app do you use the most? If you are looking for a plain answer, I use Slack the most for business (Miyazaka laughs). Other than Bonx, I don’t really have another app that I use as frequently. I want to start using Spotify. – What is your favorite hangout spot? Probably the skate park at the Komazawa Park would be at the top of the list. As for restaurants, I frequent Bowery Kitchen since it’s near the office and has a cool café vibe. – Who are your main influences? Maybe Ryoma Sakamoto (a prominent Japanese historical figure) – I have the same birthday as him, plus my wife is originally from Kochi. I also look up to pro snowboarders like Yosuke Nishida– he understands the industry and is a creator of many trends within the snowboarding community. I aim to do something similar by creating a new lifestyle trend with Bonx. Bonx just may set the standard in wearable communication technology, with its potential use in many fields apart from sports. With that said, the saying in big, bold letters on Bonx’s site sums up their mission best – “THE WORLD IS OUR PLAYGROUND!”. While texting is a main staple for communication in this day and age, nothing is more fun than actually talking with your friends—we expect to see a lot of people having fun with this device on their next trip to the mountains, beach, or where ever in the world they decide to play. If you love Ramen, you’ll like this! Dear Job Seekers: It’s All About Patience! Signup for Newsletter and get notified when we publish new articles!